The Best Rally in the World. 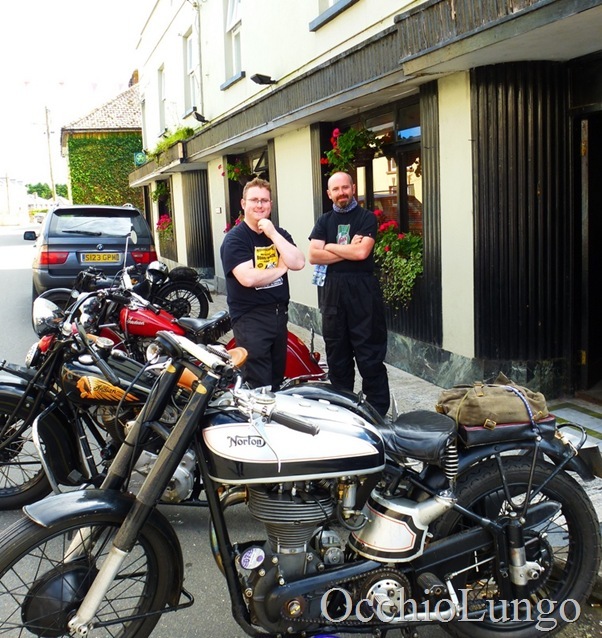 I’ll start with that bold statement, and let it sink in a bit while I write the background info: Last week was the 46th Annual Irish National Vintage Motorcycle Assembly. While there are a few events that have a history longer than 46 years, none of them are quite like this one. It continues to have a very strong turnout every year for many reasons, which I’ll get into further down the page. It isn’t the biggest rally, as the participant list is kept at 165 bikes to fit the hotel. But many more people apply than that each year, so the organizers have the tough job of sorting through the applicants. Mrs. Occhiolungo and I were accepted for this year, and we didn’t think twice about buying some new rain gear and two round trip tickets to the Emerald Isle! We had heard about the Irish for many years, from friends who had attended in the past. Each person said that it was among the best rallies in the world. 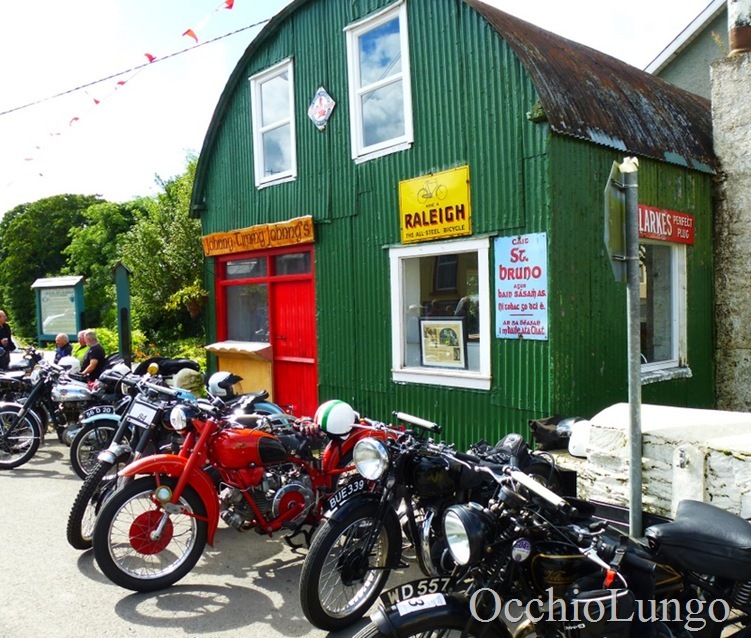 As our readers will know, Team Occhiolungo prefer long rides over short ones, and really old bikes over classic bikes, and kicking tires in a parking lot instead of bidding at an auction. 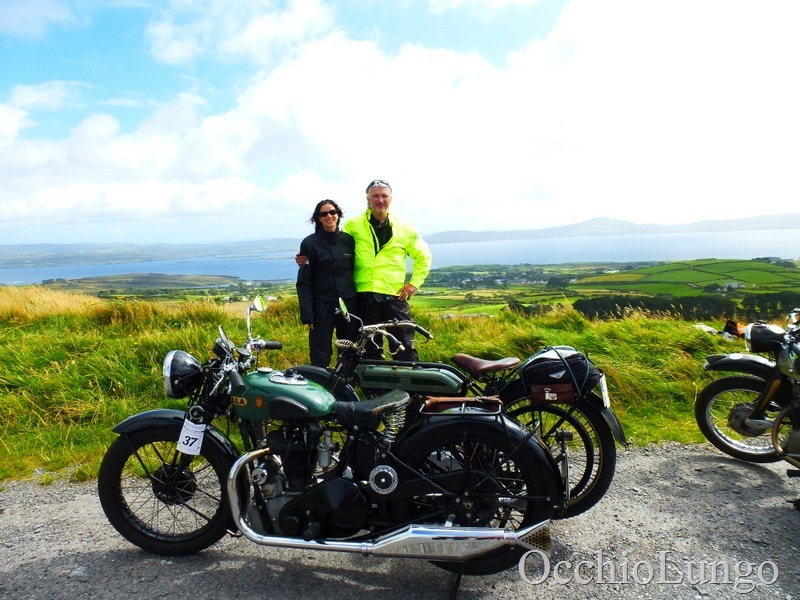 We’ve ridden a bit on our old machines, and seen some beautiful roads, beautiful scenery, nice folks and nice bikes. 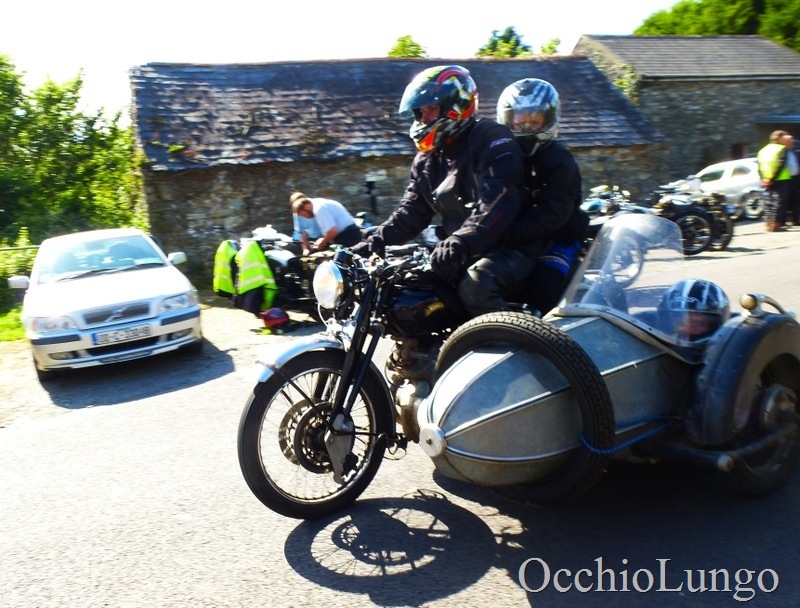 Each Velocette rally, for example, has at least 3 of those things. As do the other top rides. But the Irish had all four things. In abundance, and every single day. We rode on cliffsides along the Ocean Coast, through green valleys, up mountain passes, through forests, on isolated cart trails and 45mph sweepers. All of them, EVERY SINGLE DAY. Then a new route the next day, featuring the same caliber of roads. The quality and variety of the roads was hard to believe. The hill climb up Priest’s Leap, and down the road to Camp, were among the steepest roads that I’ve ever ridden. Equally steep, twisty and as dangerous as the best roads during the week we spent at the top of the Colorado Rockies, slower and more treacherous than the delightful Ward’s Ferry Road near Yosemite. And the twisties along the beach reminded me of Hwy 1 in Marin County, but without the tourists. Now that we are back home, I agree with the guys that it was the best rally in world that I’ve done to date. But I’m always hopeful to find an even better one if that’s possible! Maybe the Oude Klepper run in Belgium? Are there any other suggestions? 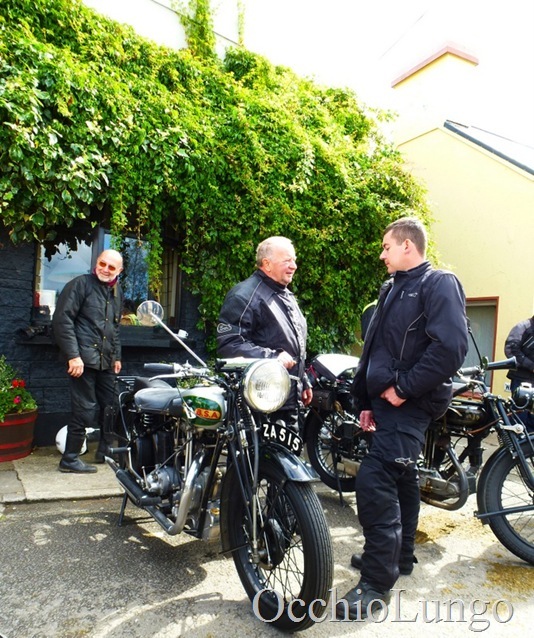 We were joined by many riders from Ireland, including a rather large percentage of lady riders on early machines. But the group wasn’t only locals. There were many riders from England of course, but also from further places like Malta, Sicily, Germany, France, Wales, Holland, a few others from the USA and three came all the way from Australia! 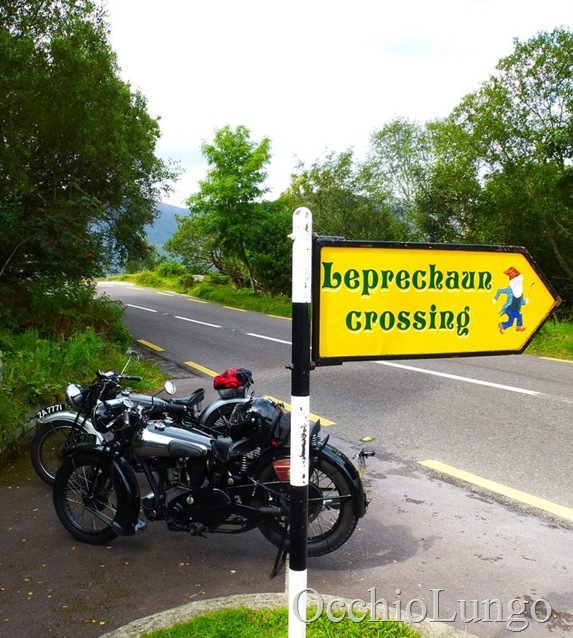 The draw wasn’t just the quiet backroads, but included scenery of the greenest green colors, streams, waterfalls and lakes, twisty beachfront paths, very nice people and a most excellent assortment of pre 1962 motorcycles. Instead of listing all the bikes, I’ll try to put photos of them with captions. But a short list includes Broughs, Williamson, Rudges, Speed Twins, AJS, Scott, Indians, Guzzi, flat tank Nortons and many others. 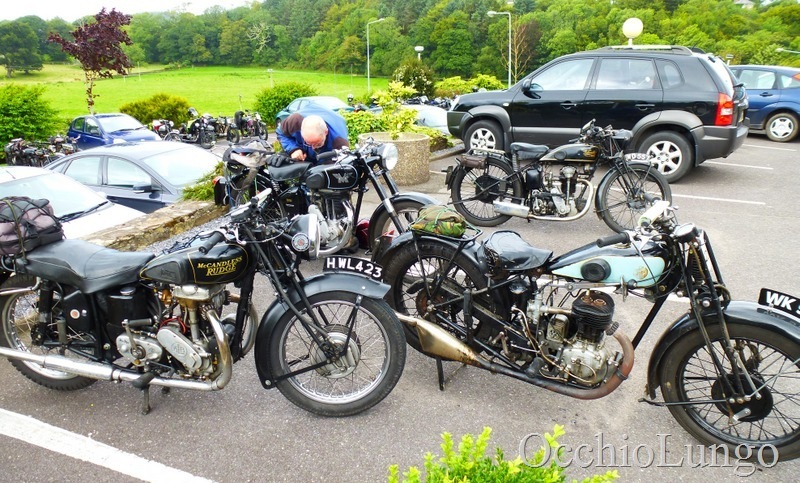 The club encourages riders to bring early bikes, with a preference for flat tank (pre 1929 ish) bikes. Riding is 4 days, with Flat Tank Friday being a day to bring out the earliest stuff if the rider was on a later machine earlier in the week. The green view of Butter Road. The diary farmers in this valley use the road to take milk to town, and we guessed it would be butter when they arrived, due to the bumps and potholes along the way. This is representative of the typical bright green scenery we rode through. The roads were steep and slippery and didn’t leave much margin for error. This one actually has a lot of room on the edges, many had greenery that was 8 feet tall right at the edge of the tire tracks. But on a 1915 bike, it wasn’t too tough. The early bikes were made to ride on these types of roads. And the rider was much happier here than on a 50mph two line highway with cars, shops, bicycles and other distractions. Mileage was about 140-175 miles per day. That doesn’t sound like a long day if you are used to slogging on a 4 lane highway. But these roads were, umm, challenging. We typically left the hotel at 9:30 am and returned around 7:30 pm, just in time to kick tires and tell lies in the parking lot, then retreat the dining room for more of the same. Ireland has only 4 million people, and not many of those live in the Southwest Corner of the country. So it is quiet out there. Not built up like rural England, and not at all what I had expected.. A few towns and villages were present, and were handy places to buy petrol, or Irish coffee or maybe a pint of Swithwick’s, but many of the road miles were in quiet isolation, without many people to see. About half of the total miles were on roads with just one lane. And not a wide lane, but just big enough for an oncoming car to pull over 2 feet or so while the bike swerved left and avoided the ever-present green hedges and slid past the car. If two cars meet on the road, they both go a bit into the ditch or into the hedge, or maybe one of them would back up to a wide spot in the road. 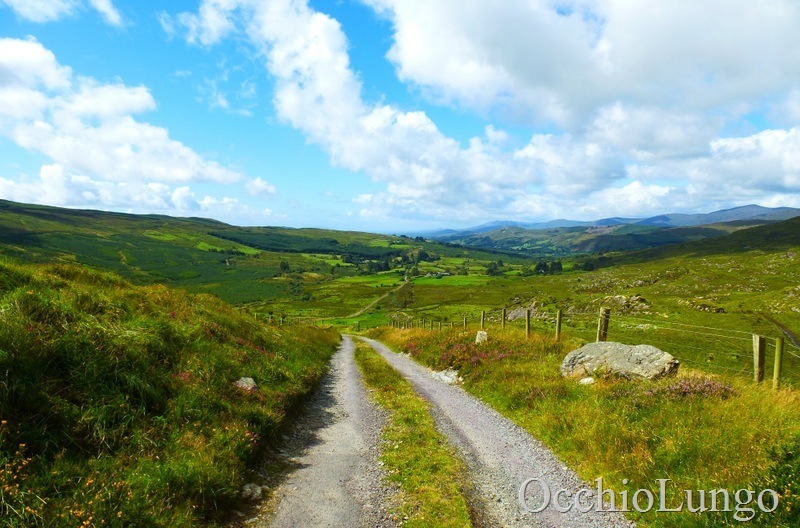 Note that many of the roads in County Kerry are like this and always have been. Hence the car drivers are very good and don’t crash much. Some of the ‘challenging’ roads have an added obstacle: green grass in the middle of the road. This is fine, but slippery when wet. The roads were all paved though, and paved pretty well. In the western USA, such quiet roads would be made from dirt and gravel. But in Ireland they are paved in asphalt so that they don’t wash away in the rain. 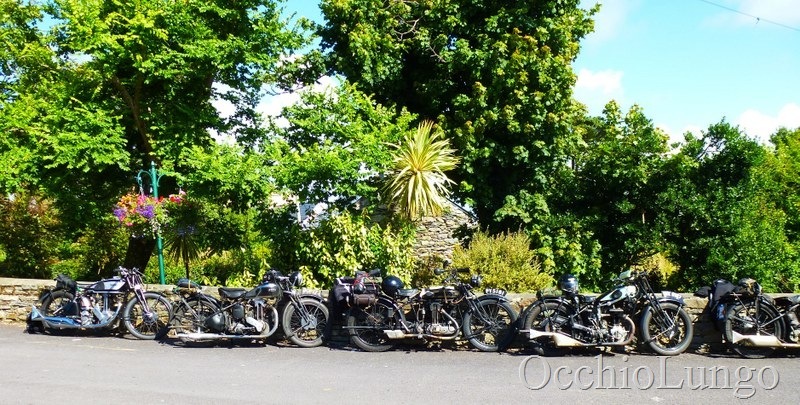 A pair of Brough Superior SS80 motorcycles. My favorite model of Brough, and these two were ridden with verve all week. They were joined by a Brough 680 model on most days. 1914 Williamson. Motor by Douglas, a flat twin with watercooling. 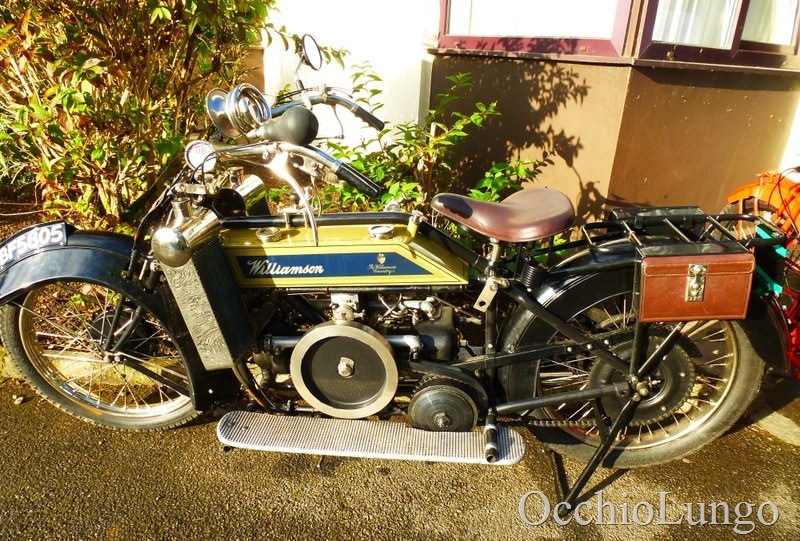 Twin radiators, band rear brake, generous valences on the mudguards and power to pull a veteran sidecar. This was a long-time restoration by the owner, and he rode it all week. A few of the bikes stopped for lunch. 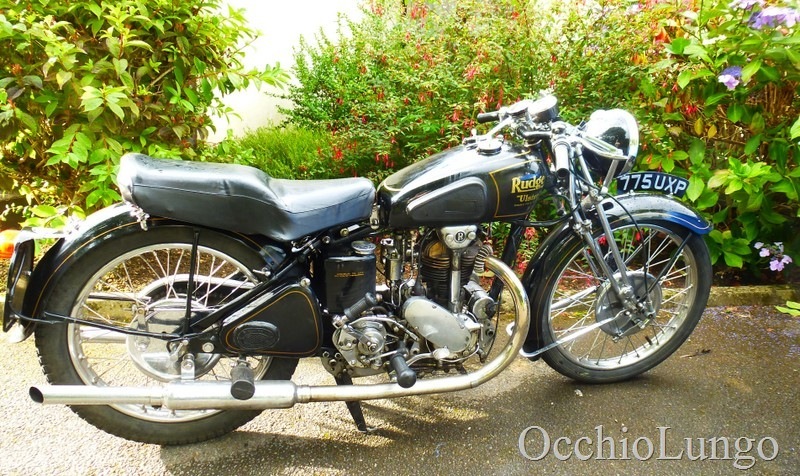 McCandless Rudge, Matchless, sidevalve Triumph, Velocette KSS. At the top of Goat’s Path. 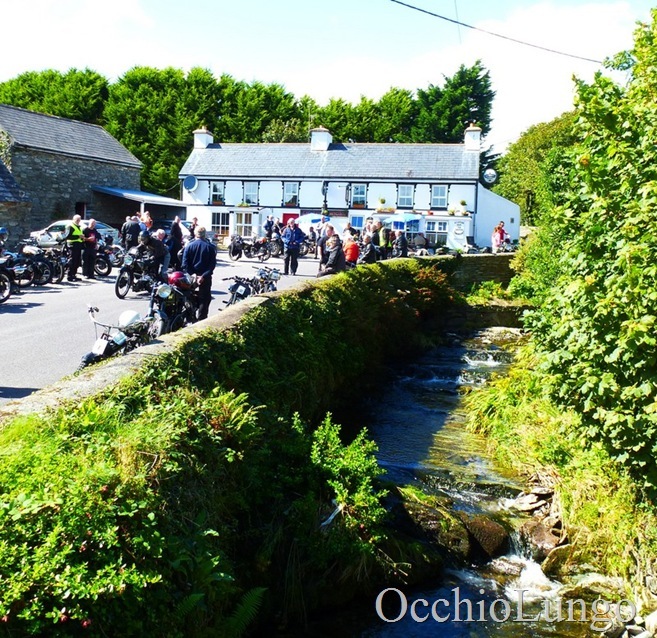 We stopped at Inchigeelagh after riding for an hour on a beautiful “dual carriageway” This is the Irish name for a road that is 10 feet wide and has grass growing the middle. Coffee, tea and other beverages were served at the bar, and Dave Mac got out his squeezebox and played some tunes. It was a fun time, and the old Irish guys were singing songs, then convinced one or ladies to dance with them in the street. What a great time! Williamson at the top of Healy Pass. We only saw this one day, but many riders stopped at the top, then rode back down and back up again to enjoy the turns. About 1/4 of it is visible in this photo. There is a good place to stop called Ladies’ View. Named for the ladies in waiting for Queen Victoria’s visit in 1861. Here is her view over the lakes and valley. 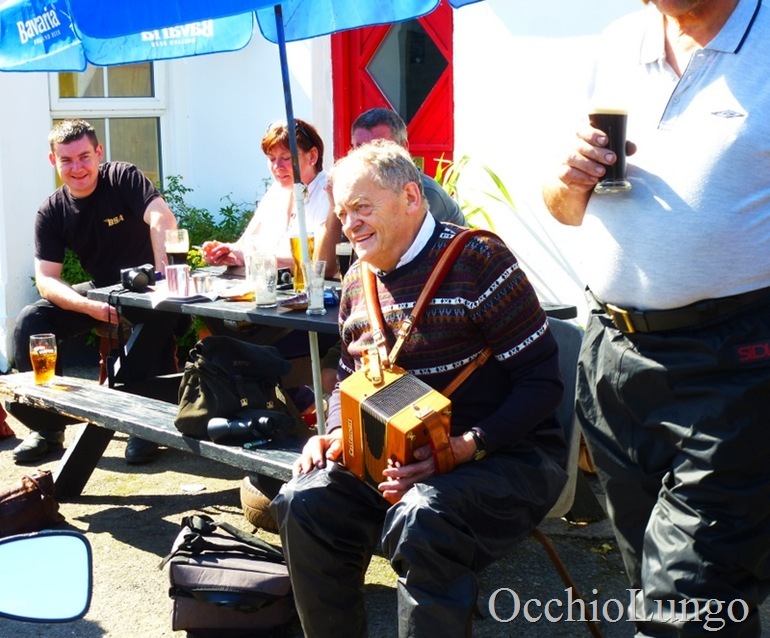 Dave Mac, the famous Irish Rudge rider and his squeeze box. 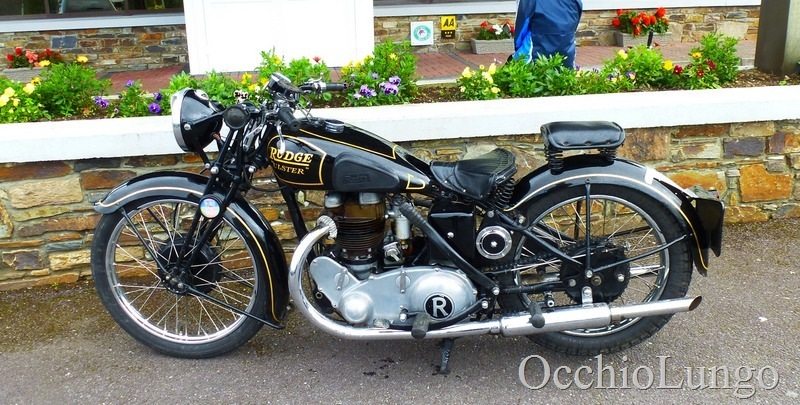 This Rudge Ulster was very nice. It had a lot of extra chrome on the forks, stand, brakes, etc. And the bronze head looked great. Another view of the Rudge. John Quirke describes his 1913 Sun Precision while Dave MacMahon plays a tune. 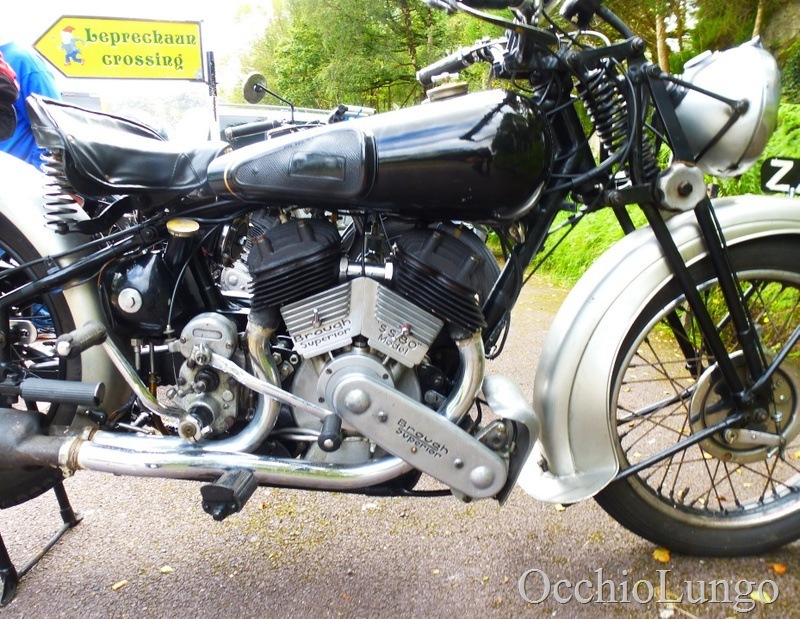 This Vincent was ridden by a dad on holiday with his two small sons. On some days, both boys would ride in the chair, one on top of another, with helmets bobbing as the rig went down the road. Note the twin front disc brakes. Stay tuned for Part 2 and Part 3 on the Irish Rally. Great report! 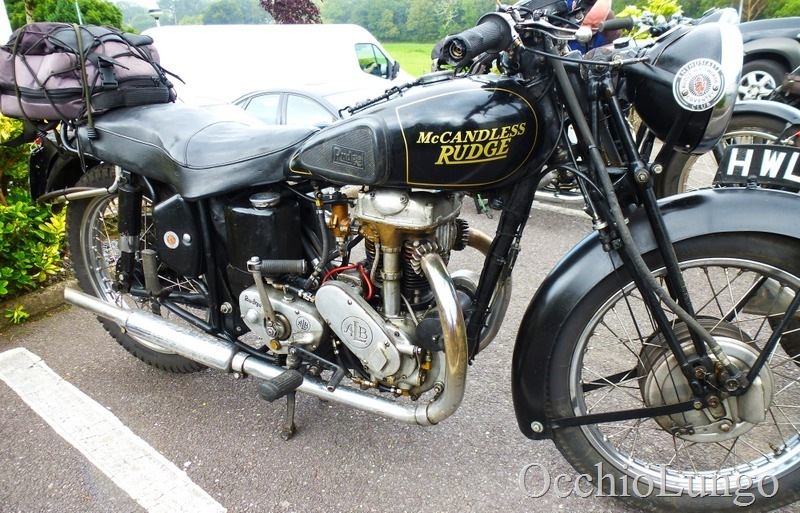 I like the McCandless Rudge…for some reason. I’ve just added another paragraph to the article, with some more of the story that Dave MacMahon told me during the run. I’m sure there is more to it, but that is as much as I can recall right now. This is my idea of a wonderful time!! Did I see Mike Jongblood in the background? Hi Jim. No Yongblood, but I’m sure that he would love it there. Nice! 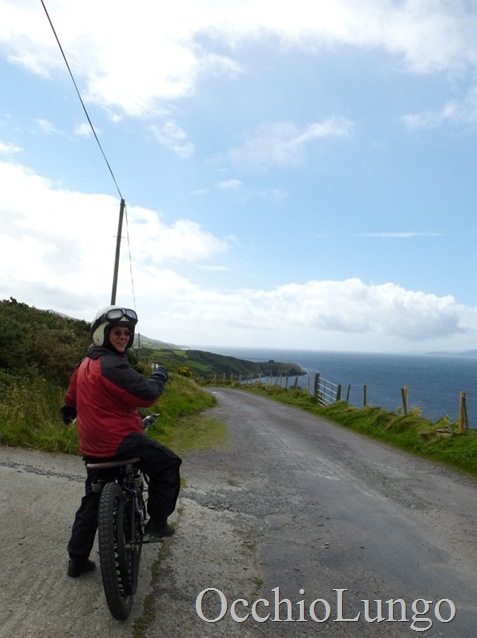 Thanks for sharing, Pete, the scenery is spectacular; southern Ireland is an amazing and wet place. 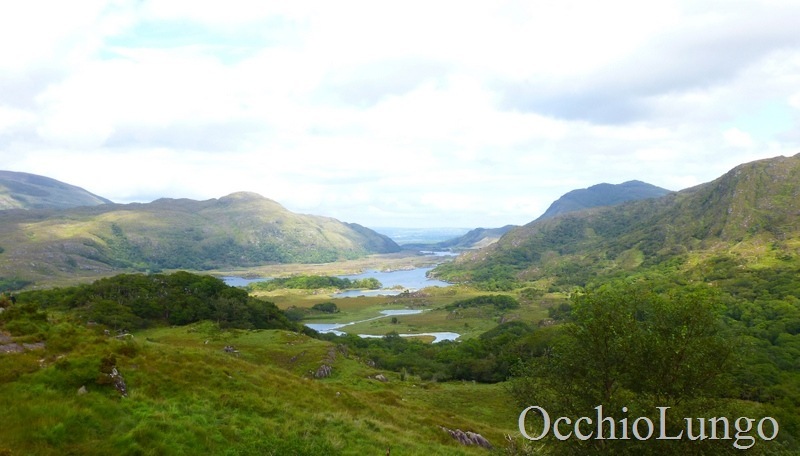 I spent a month there, just out of college, in Cork and the Dingle peninsula. good point. “Best” is always relative, but this one is my personal best thus far. I hope to find an even better “Best” sometime! We are already making plans to go back next year. an excellent adventure indeed. thanks for the beautiful photos. were there any interesting road side repairs? I always find the ingenuity and resourcefulness of seasoned riders to be a great inspiration. 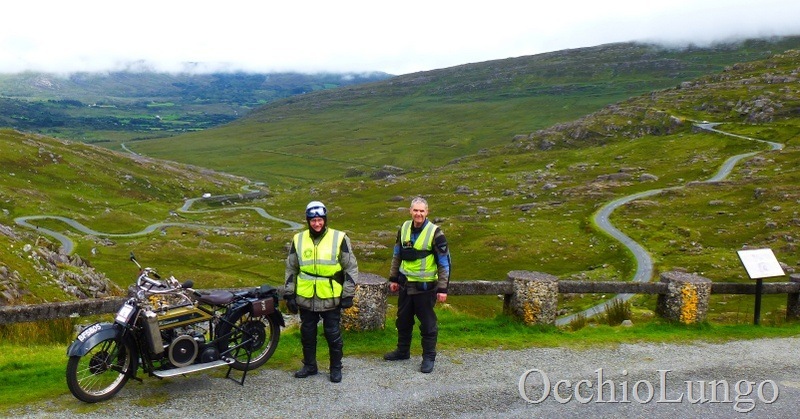 Our group of four had just a few minor repairs: cleaning crud from the fuel lines three times, tightening the slipping V belt on “my” 1915 Triumph, stuff like that. There were a few guys that were stopped by heavy rain taking away the sparks to their spark plugs, but that didn’t last long. Super Cool, I love Ireland, especially the Southwest where you were. 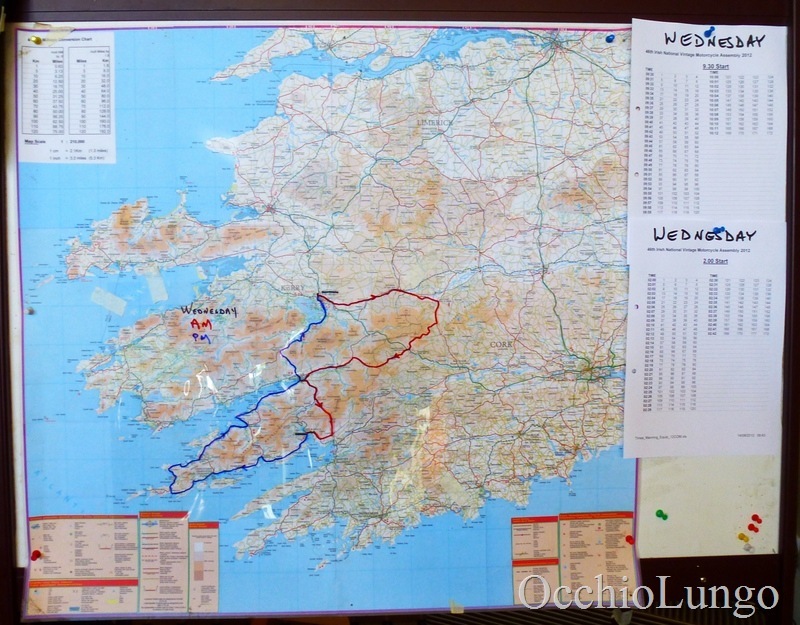 The Beara Peninsula might even be a little better as the tour buses can’t fit in on the tiny roads. All the same, I wanna go. Where do you apply for this rally? Its a weird how the RIDE in motorcycle events & the quality of the roads is usually underrated. Thx for sharing Team Occhiolungo. Great report – looking forward to the next I installment! 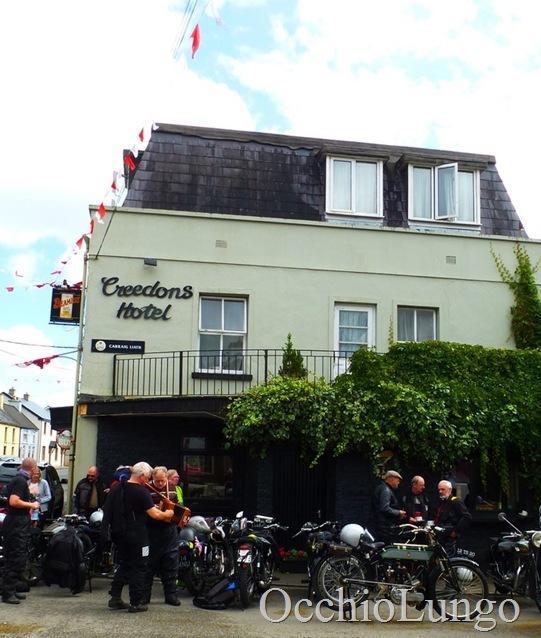 What a great report – and for you a great ride – thanks for sharing. 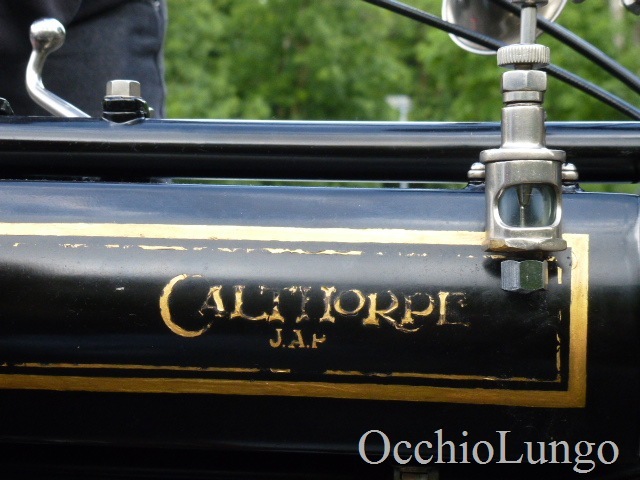 PS: There’s a short photolog of the vintage racing @ Schotten in my August blog. Great write-up and wonderful photos. Dare I say it?… I’m green with envy! 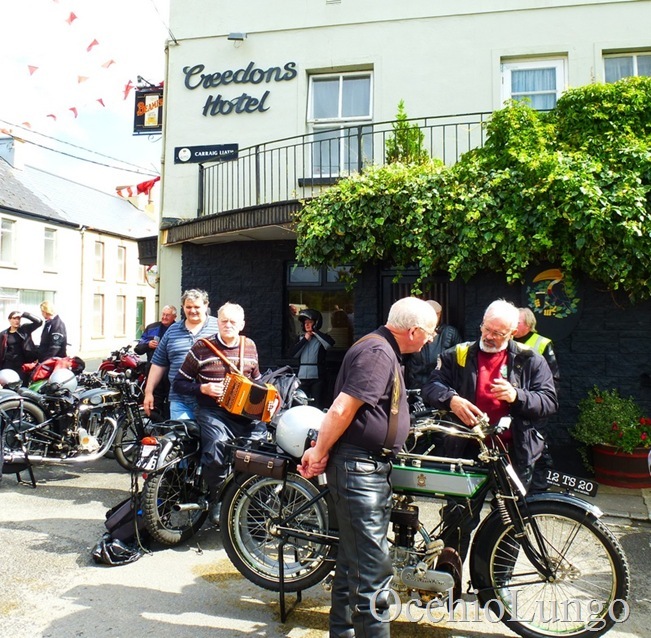 old bike riding in Eire.It`s for sure it`s up there with the best old bike events worldwide,and yes I`ve had a good soaking outside&in,during the event in West Cork on numerous occasions,and this year was no exception. I like the words you used to start your Article, ‘ The Best Rally In The World’ and that says it all. I took part this year and even in 2007 and that is the same impression I have about the Rally. Lovely write up and also lovely photos. Hello Ray. You had some beautiful machines there. I hope to see you in 2013 too. To go like this beautiful road with old bike is the dream of oily boys. By the way,I would like to introduce your diary about Mr.Radco on my blog,the book is the bible of me and my friends. Sure thing Kaz. Feel free to use my info on Radco, just credit my webpage. Did you know that the book is now back in print this month? It is a great one, everybody should have a copy. Take care, Pete. You really ought to put in a donate button in your website. Good quality articles in this way are tough to get today.